woohoo! New Holiday collection aboard! 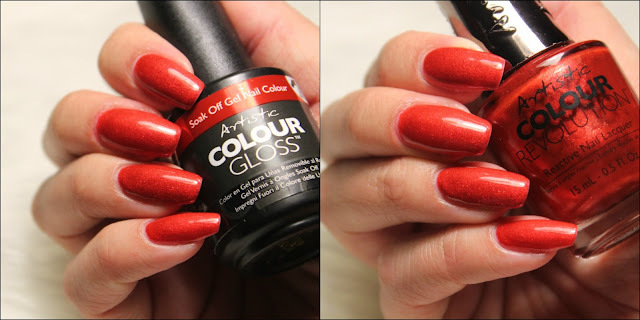 I am happy to introduce you to Artistic Nail Design 's new Holiday Collection! Yayy! Six gel and lacquer shades full of glitters and cheerfulness! ...and first off, if you have been looking for any glitter polish that will give you absolute FULL coverage in only two coats well my loves, you have just found it! 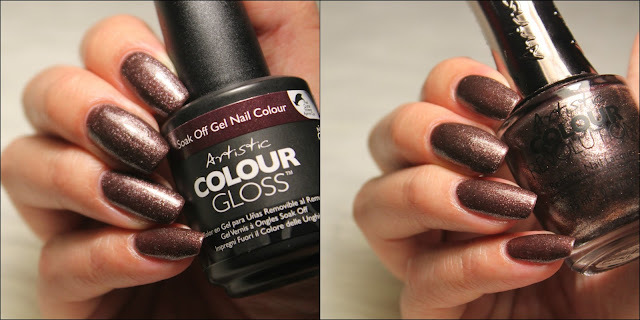 All the shades from this collection have proven to have an excellent formula (only two coats for most of them), very effective and of a great quality. Of course, they are all festive shades... all you need for this year's holidays. So I won't make you wait anymore... here come de colors! 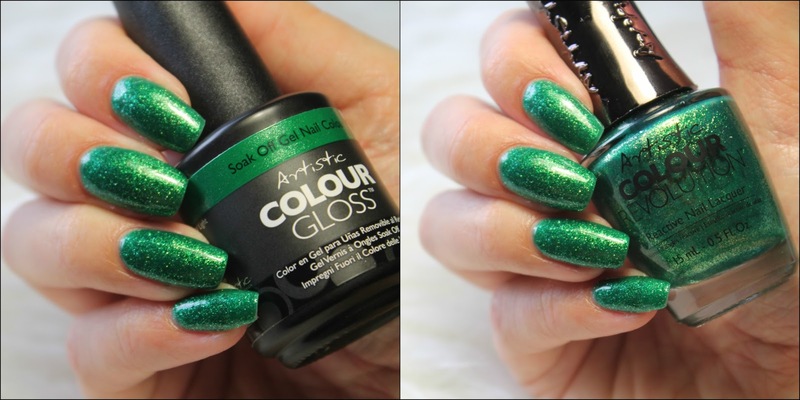 One of my favorites of the collection here, this gorgeous glittery Christmas tree green is super pigmented and the formula is super easy to apply and this polish shines a whole lot. I love it. Also in my top three of the six shades, this is a very rich deep glittery brown, just perfect to fit with all your beautiful Holiday outfits. Also super pigmented and slides perfectly on the nails. 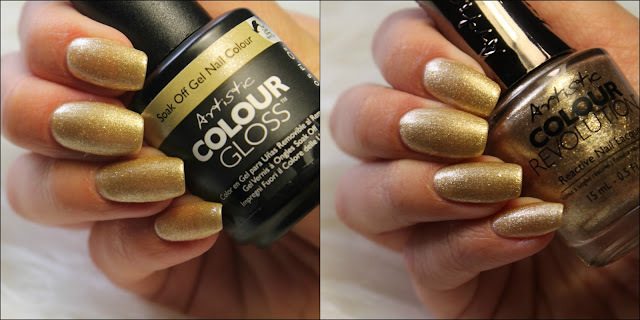 Golden goodness of the collection, ''This Girl Sleighs'' is I would say a pure gold tint, perfect for some of these glittery nails, both if it is for a whole mani or your accent nails. Two to three coats, depending on how you like it, and you are good to go! Maybe the least pigmented and opaque one of all but being the silver one it is perfect. 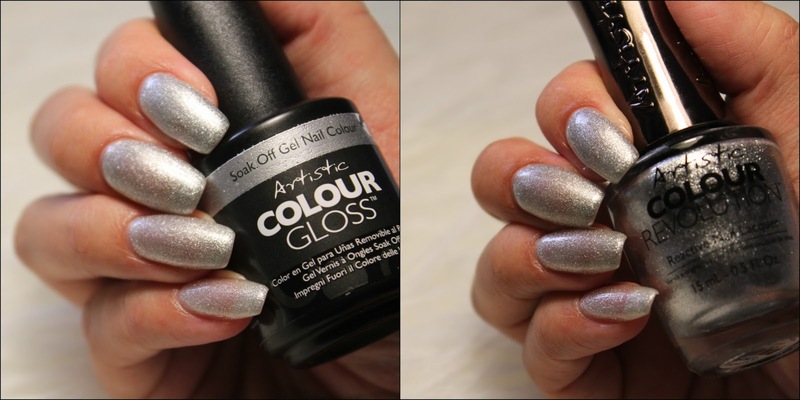 This way, you can use a thin coat of it to add on top of another color, or use several coats of it to get an opaque look. Again, really smooth application and great formula. Ok, THIS is, out of the whole collection, my absolute favorite! 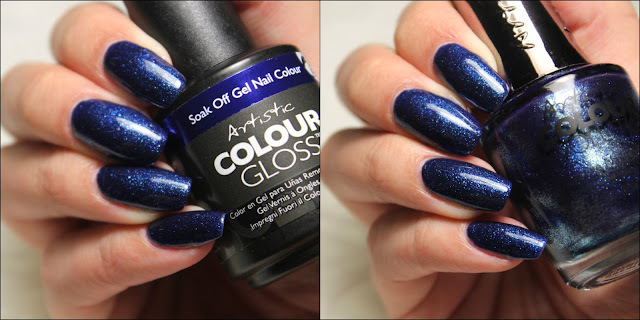 It has this nice deep blue color, perfectly combined with the glitter. The application is super smooth and it has this amazing opaque formula with which you definitely not need more than two coats. Now to the last one but not the least, a beautiful red HAS to be part of any Holiday collection. Also, just like the previous one, this is a really opaque glitter polish and great formula. Love it! Now this is it for Artistic Nail Design's Holiday Hangover Collection. So as I had mentioned they are all great glitter shades and perfect for this coming Holiday season. Hope you enjoyed! Let me know which of these is your fave color in the comments!